Luckily all of us adhered to the plan of just setting out the same weekend to make that long pending road trip to chikmagalur and around. My dad always vacations with his gang of friends, so him being experienced, he arranged the vehicle, stay, where to eat, what to see and the route. 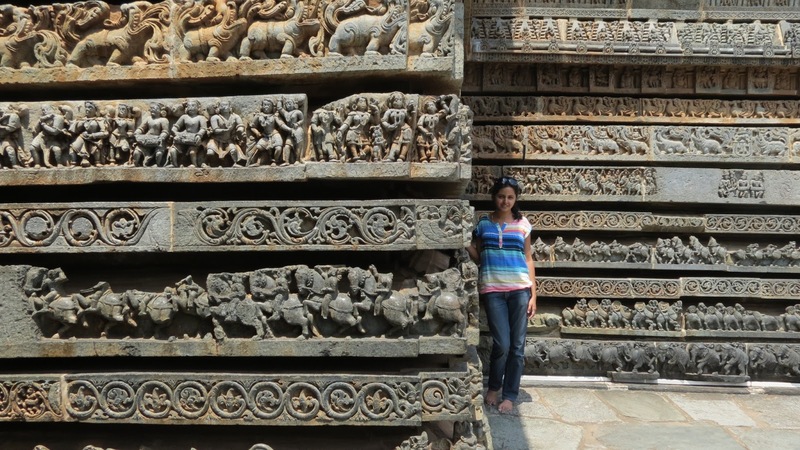 After seeing Hampi, I am a big fan of ancient stone temples, architecture, the sculptures and the like..
My sister was first against seeing Belur and Halebidu, but was delighted no end at the end of our first stop in this capital of Hoysala empire. The whether was not too hot as it had just rained a few days which made our walk in the sun bearable. 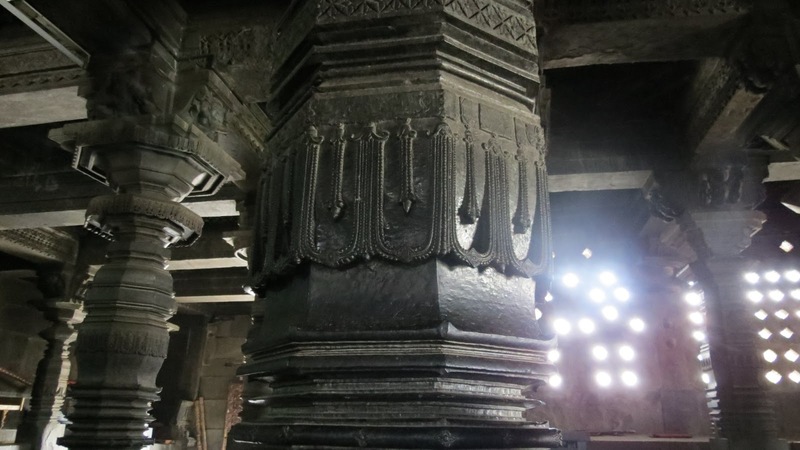 There is a saying in Kannada that reads “Halebidu hora nodu, Beluru vala nodu” which means “See the outside of Halebidu and the inside of Belur”. 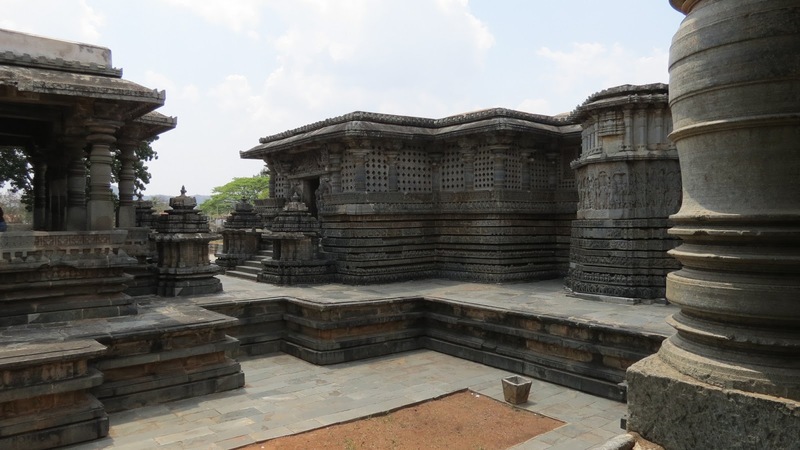 Halebidu which literally means ‘old town’ looks definitely older than Belur. Most of the idols here are broken in a battle between the Hoysalas and a Sultanate. 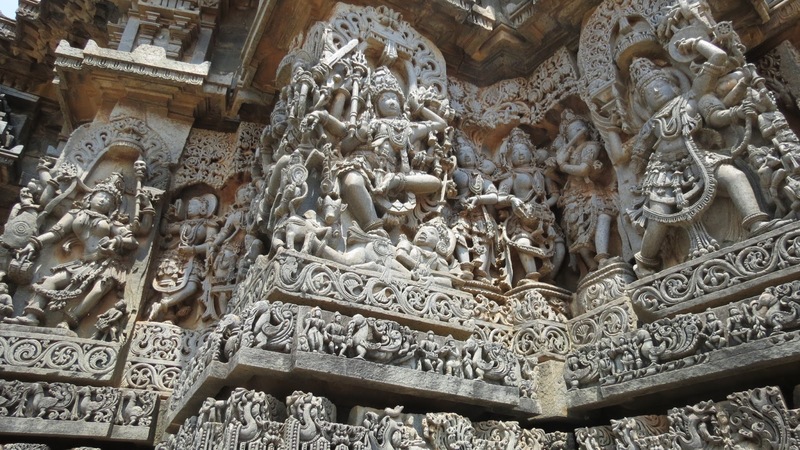 Halebidu had intricately carved depictures of lord Shiva and stories around him on the outer arena. Usually when I visit a temple, I never really give importance to the God being worshipped there, not that I am an atheist, but that doesnt just stick in my head. But if a temple is as beautiful as this one, it hard to ignore anything. 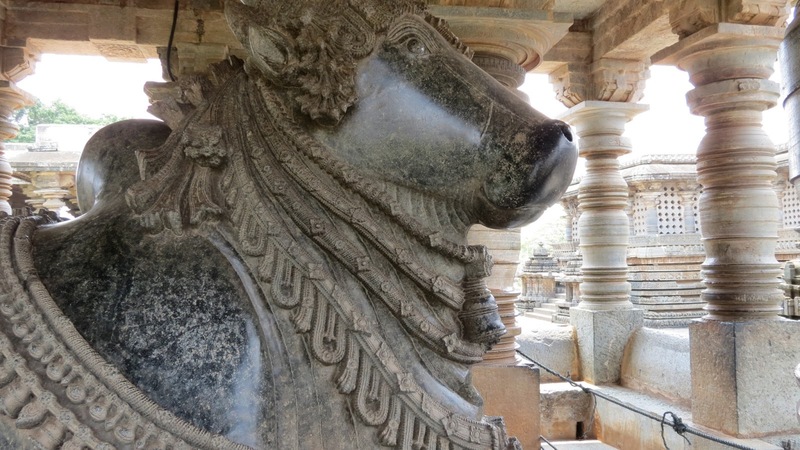 I now learnt that the god worshipped at this temple, Hoysaleshwara was an incarnarion of Lord Shiva and there is a Nandi in all Shiva temples because he used to ride on Nandi the bull. 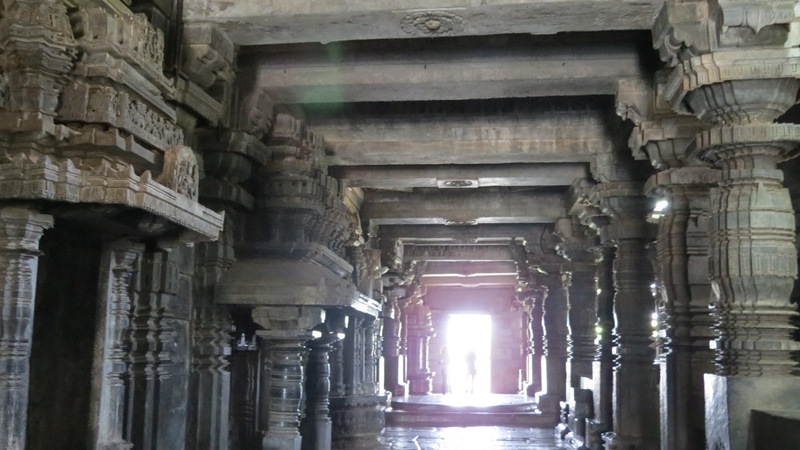 After this stop at Halebidu, we went to see the inner beauty at Belur. Somebody approached us at the entrance claiming to be tour guide and that we would give us a receipt too, only it was 200 bucks! Never usually hire a guide anywhere, but we thought it would be a good idea to get some knowledge on the stuff that makes our history so impressive! While he walked us through most of the sculptures, we clicked enough pictures and had our mouths open all through out gaping at the intricacy of the soap stone carvings. If the guide had not pointed us to the minutest of things such as, an idol of a man playing music on his drums had even the dent in a man’s drums worn out by use shown, the daasis(maids) walking the queen’s dogs, the same dog barking at a snake in the garden and such multiple levels of hierarchy all carved out! Imagine having to carve out everything all over again if the sculptor had made one teeny-weeny mistake in an idol! Also, Halebidu and Belur, the older and newer capitals of Hoysala empire are known as International jewellery box.. wonder why? 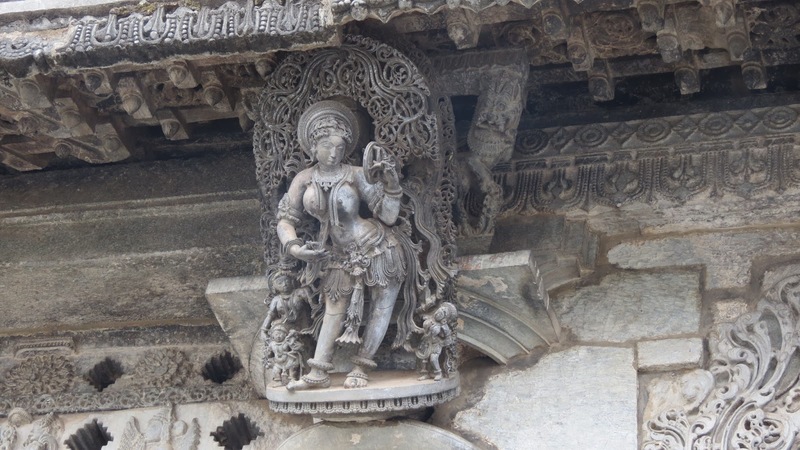 well there idols of shilabalikas(barely clad curavcious women :P) adorning necklaces, anklets, bangles, earrings, bindis, maang thikas, almost all a woman likes to indulge in :)) carved in stone to serve as inspiration for generations to come. 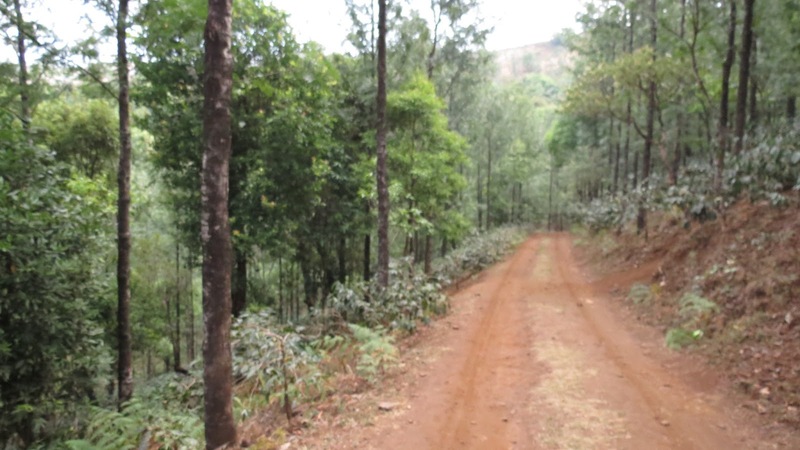 After this sojourn, we had lunch and headed to chikmagalur district. The town of chikmagalur itself doesnt have much to be seen.. its what it is surrounded by thats more interesting.. we saw a lot of coffee plantations and pepper creepers around tall trees on the way to our stay. 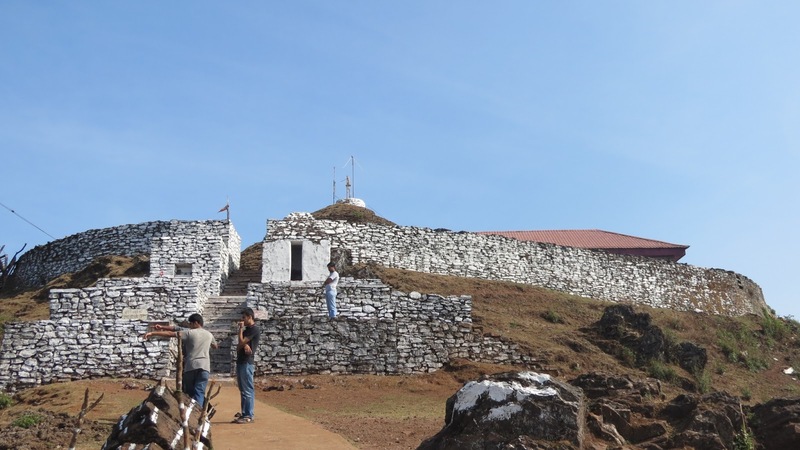 What is the one thing we always did in chikmagalur is…eat every meal at ‘town canteen’ near mg road there. This is a small restaurant famous for masala dosa, coffee and gulab jamoon! and it certainly did live up to the hype created about it by a friend of dad’s.. 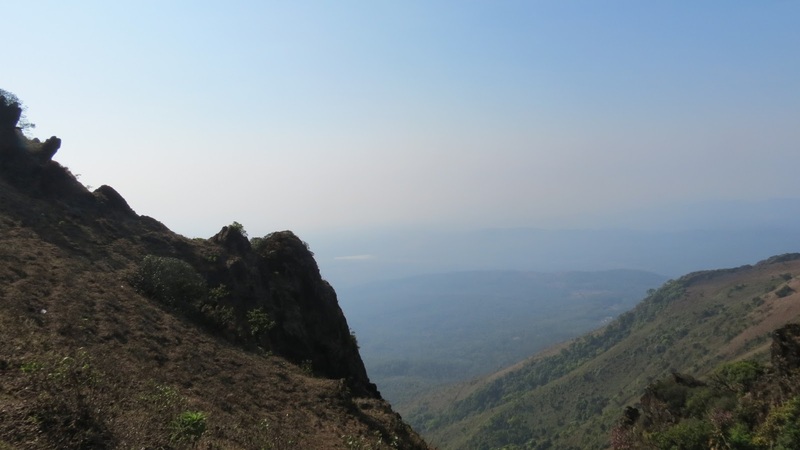 The next day we left early to hit the peak of Mullayanagiri, the highest peak in the state, before it would get too hot. 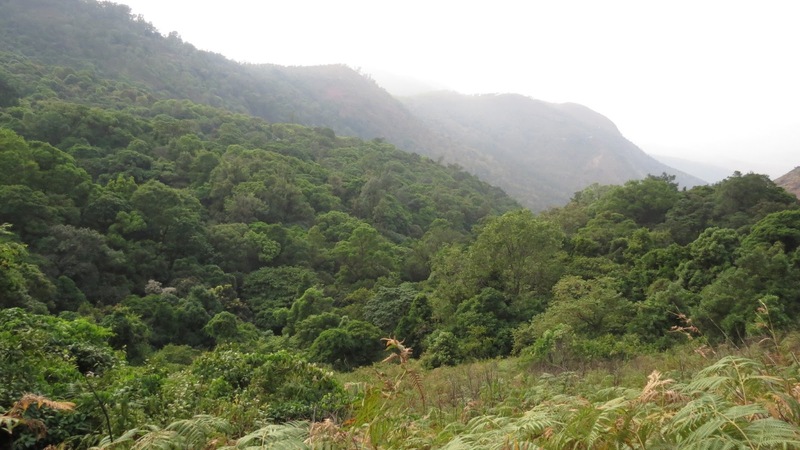 The view from atop was a breaktaking 3D view of hills and snaking roads and lush greenery! The temple perched on the peak was just as pristine as a temple should be, there were hardly any people, pin drop silence and the floor was sparkling clean. The yard was washed with cow dung and a rangoli layed out. So we sat inside the temple in the shade for quite a while before starting our descent. Half way down, we heard the gushing water as it made its way between the leaves and rocks to hit the ground. 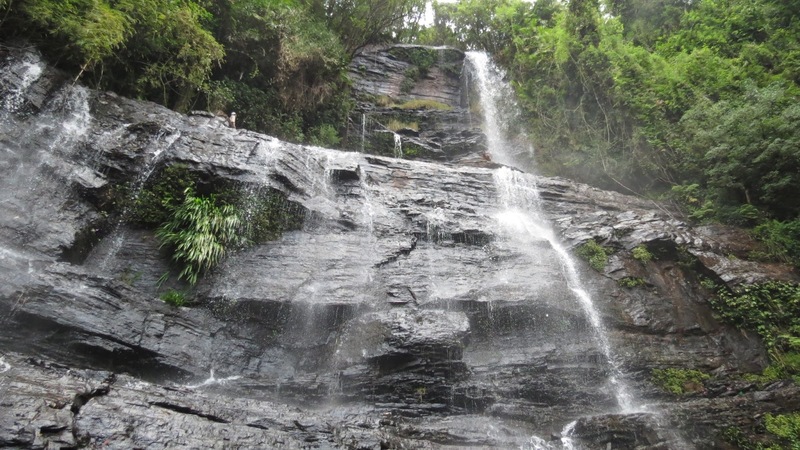 Most waterfalls are disappointing as some are man made, some have so much access that it gets very crowded to even hear the sound of water! But this one was quite unlike any other I had seen, hidden away, not easily reachable, was quite high and was in the midst of a lush green jungle. The water was pure and cold, the jungle forming a canopy around the valley, the water hitting the rocks and forming a beautiful pond on the ground. Would make for a perfect romantic day. I think on a weekday, the crowd wouldnt be there, so one can make a drive down from chikmagalur and spend about half a day here.. it was beautiful. The rest of the evening, we spent at Kemmanagundi, viewing the perfect sunset ever and exploring somewhere on our own to spot another water fall, by when mom was calling out to us as it was getting dark. The next morning, we started back to Bangalore, but making many stops on the way, being silly, watching birds, clicking pictures and running in the middle of the woods. I donno if it was the scent of pure nature or the lack of thick, black smoky city air that made the drive so amazing. This trip has definitely been my closest tryst with nature. Loved each moment, every bird, every leaf and every particle of sand that I met with. As at the end of any trip, I did not want to leave. I hope the place remains as untouched. AppScan Shiva?? hehe nice name!